THE SHANE FOUNDATION was established to raise awareness and support research for the prevention and treatment of contraceptive-and pregnancy-related blood clotting disorders. Maternal/fetal clotting disorders are responsible for miscarriages, low birth weight, stillbirths and maternal deaths. 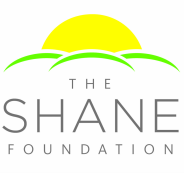 The Shane Foundation is a non-profit, 501(c)(3) tax-exempt, charitable foundation established in the name and memory of Shane Gold Burwick. The Foundation was created to raise funds to be specifically used to advance research, treatment and public awareness of maternal/fetal blood clotting disorders. Shane Gold Burwick and her unborn son were lost to us as a result of this totally treatable illness in January, 2010. The Shane Foundation is now proudly associated with the March of Dimes in a partnership specifically created to raise public awareness, increase communication with the obstetric community, and fund necessary research for the prevention and treatment of maternal/fetal blood clotting disorders and all issues of obstetric thrombophilia. Get your SHANE FOUNDATION T-shirt! Now you can donate to The Shane Foundation just by shopping at Amazon! It's easy and won't cost you anything more than you'd normally spend. Not doing it is like leaving money on the table so please take just a minute and start benefitting The Shane Foundation with every purchase.